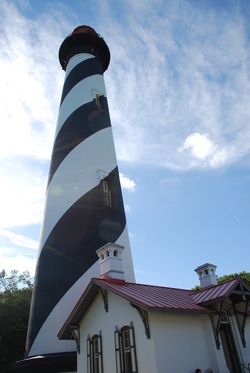 Rick had the opportunity to visit and investigate the light house. Although numerous investigative groups and employees of the light house have expierenced paranormal activity he did not. It was a beautiful structure which had a magnificant view of the bay. We hope to one day revisit the area for another investigation. 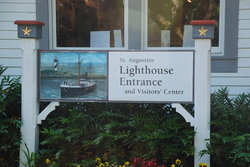 Here's the entrance sign to the Gift shop. Here's the infamaous stairs as it appears looking stright up from the bottom floor. During TAPS investigation of the stairs a dark figure was captured looking over from the top level.